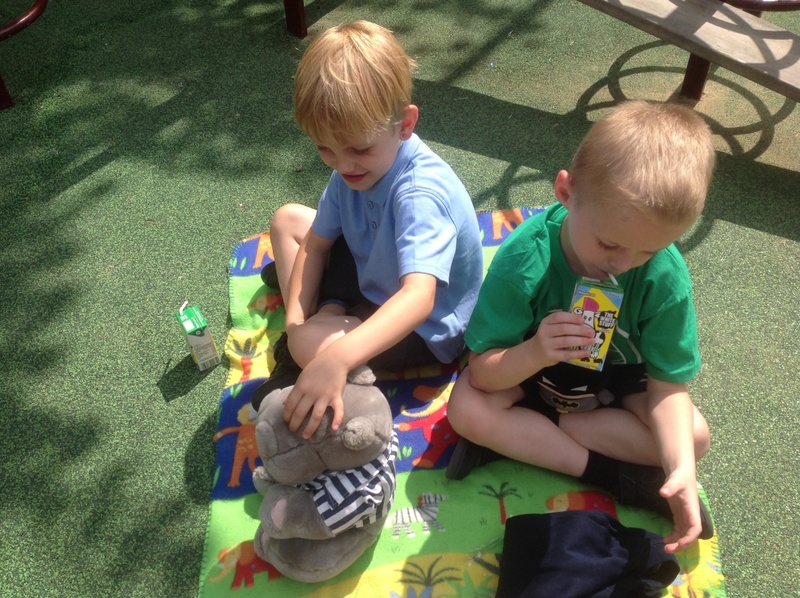 Today we had a Teddy Bears Picnic with all our friends from Reception and Nursery. 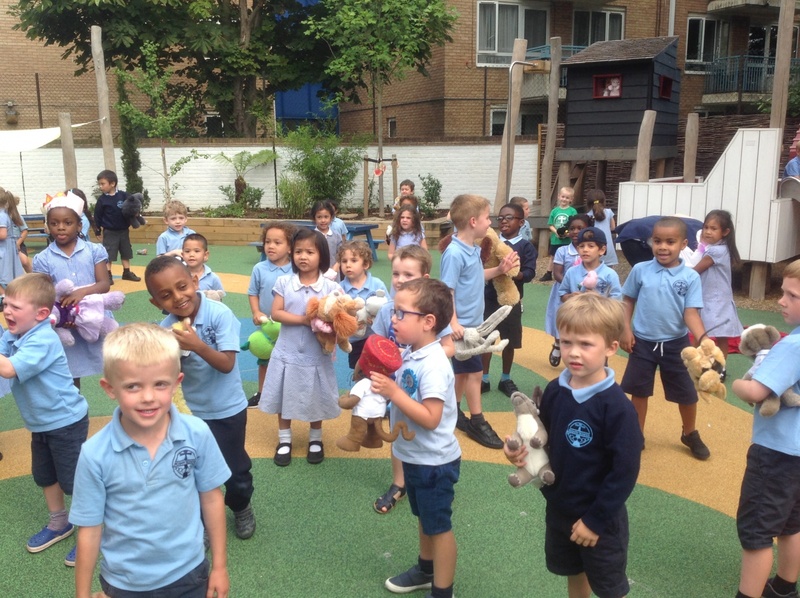 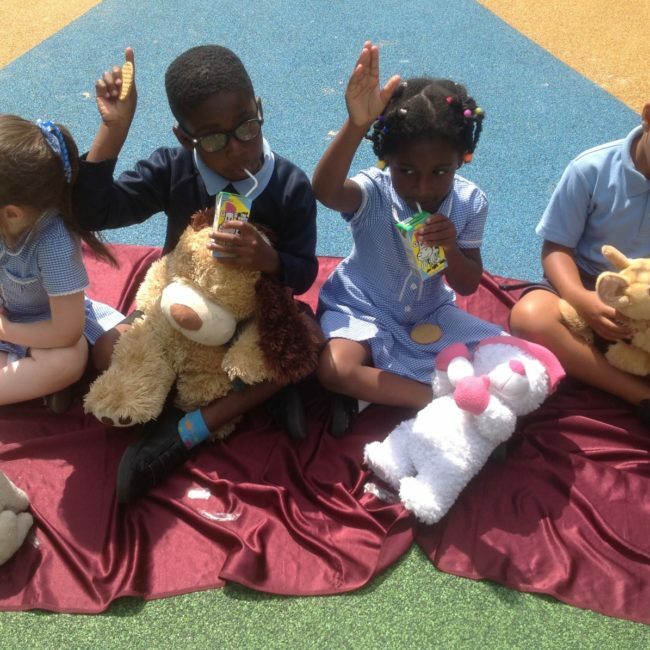 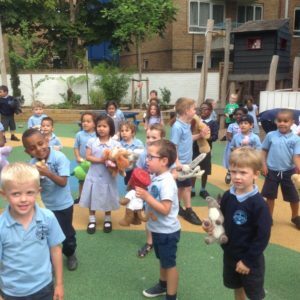 First, we brought our Teddy Bears up to see KS1 where we will be going after the Summer holidays. 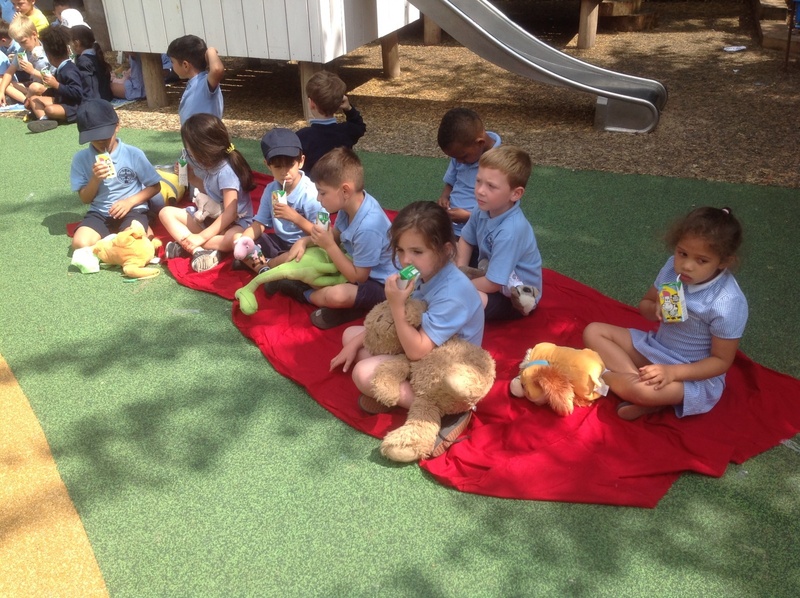 They loved our new classrooms! 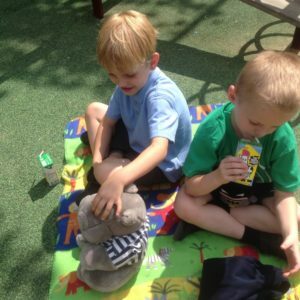 Then we played games with them and taught them how to play kindly and share. 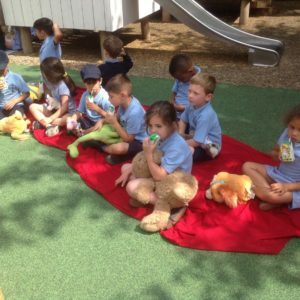 Finally we had a picnic altogether and sang some teddy bear songs.